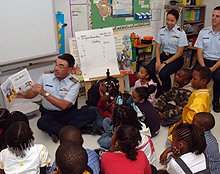 School options vary across Hampton Roads, but in general Coast Guard families should be able to find the right fit regardless of where they choose to live in the area. Hampton Roads boast strong schools across the region, both public and private. Contact the Hampton Roads School District for information on public schools.